He thought his life was over. After ten years of being happily married to his high school sweetheart, Patrick McLoughlin thought he had it all. A beautiful wife, a career he loved, and a gorgeous new baby girl. All of his dreams were finally coming true. Until the day Maggie, his wife, walked out and never so much as left a note. Six months of radio silence. Patrick needs a nanny, someone to care for his daughter while he builds his empire. In walks Carsen Sanders - tall, sweet with a model’s body, and eleven years younger than him. She steps in and takes care of his daughter just like a second mom. He can’t help but have feelings for Carsen even though he knows it’s wrong in every way. 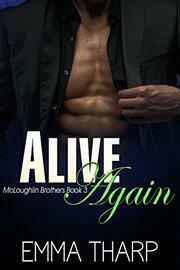 What happens when Patrick and Carsen can no longer deny their mutual attraction? Or will Maggie return to take back what’s hers? 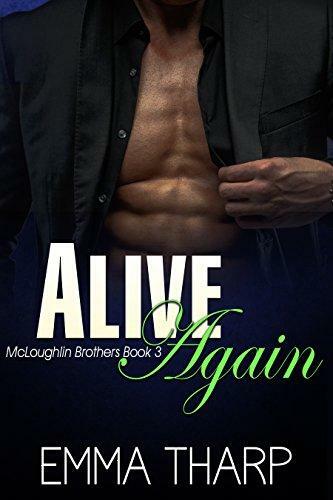 Alive Again is a book three in the steamy contemporary romance, McLoughlin Brothers Series.